Located at the junction of MN 15 and U.S. Highway 212, our Brownton display lot is easy to find. The sheds are just off either highway and can be found by turning onto a short dirt path. 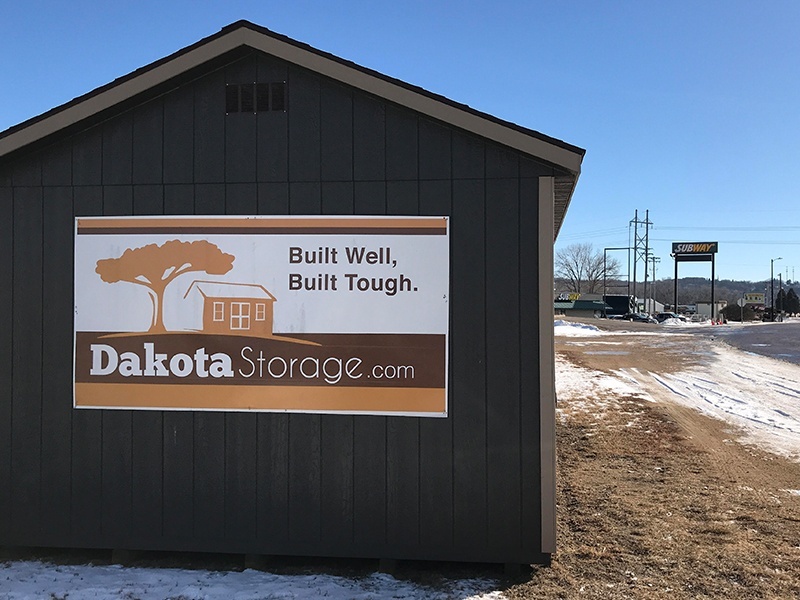 This Dakota Storage location typically has 5-7 sheds or garages on display. They are all unlocked and available for you to explore. Our information shed will have signage on it, and inside you can find product brochures and additional information about the buildings. This shed display is unattended. If you have questions or if you would like to set up an appointment to meet with a sales representative, please call 320-317-2086. 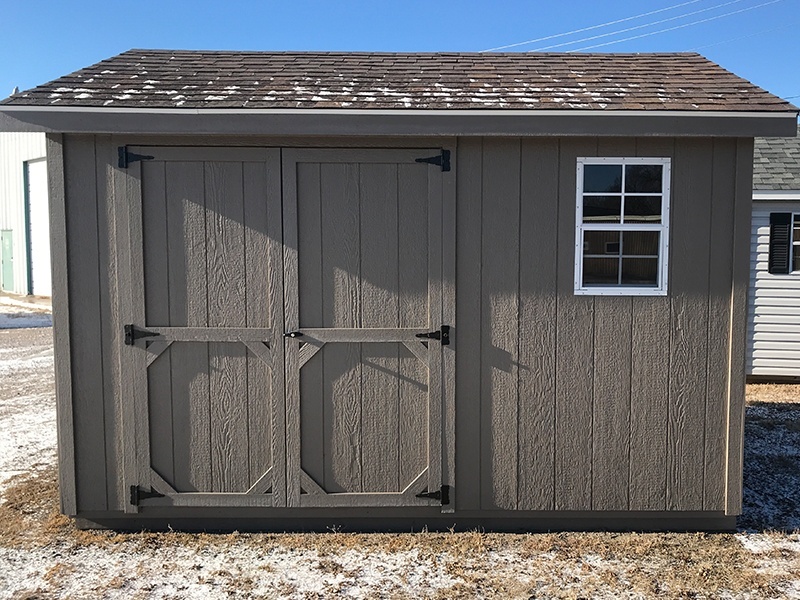 Check out your view of the storage shed lot for an idea of how to find our Brownton, MN location. Brownton, Minnesota is a city in McLeod County, MN, about 60 miles west of Minneapolis and St. Paul. 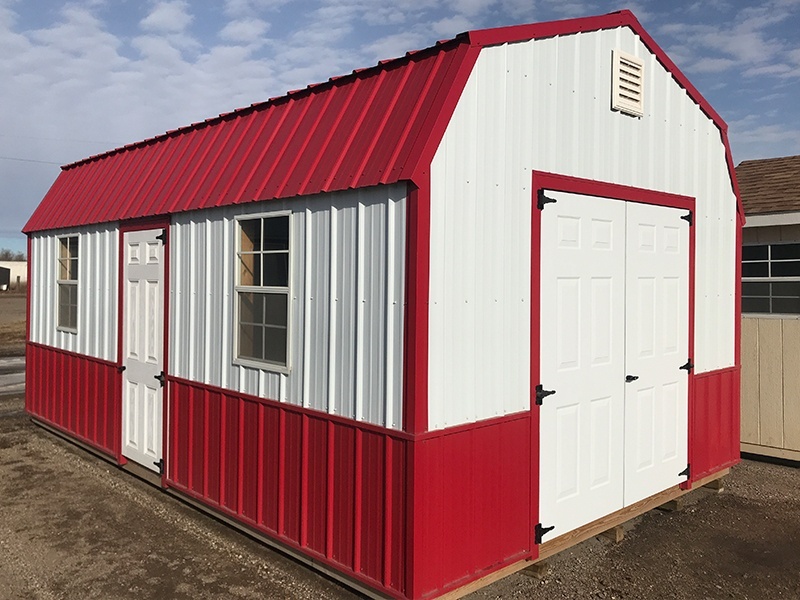 Our shed displays are conveniently located on the junction of their two main highways to the town: U.S. Highway 212 and Minnesota State Highway 15. Brownton consists of a few townships such as Acoma, Hale, Lynn, and more but is a small town of only about 800 people. If you're looking for things to do in the area, check out this guide to Brownton, MN. Call 320-317-2086 to find out more details about our discounted products!